After just three games across the league Sunday, Monday brings with it six games highlighted by the impressive Milwaukee Bucks traveling east to face the resilient Brooklyn Nets. The high-flying Denver Nuggets will also face the Detroit Pistons and despite Jamal Murray being questionable, Monte Morris should still be picked up across most competitive leagues. He has been excellent over the past week and his play should afford him a significant role moving forward, no matter the players who are healthy. I will look ahead to all six games, pulling out value to help get the week off on the right foot. 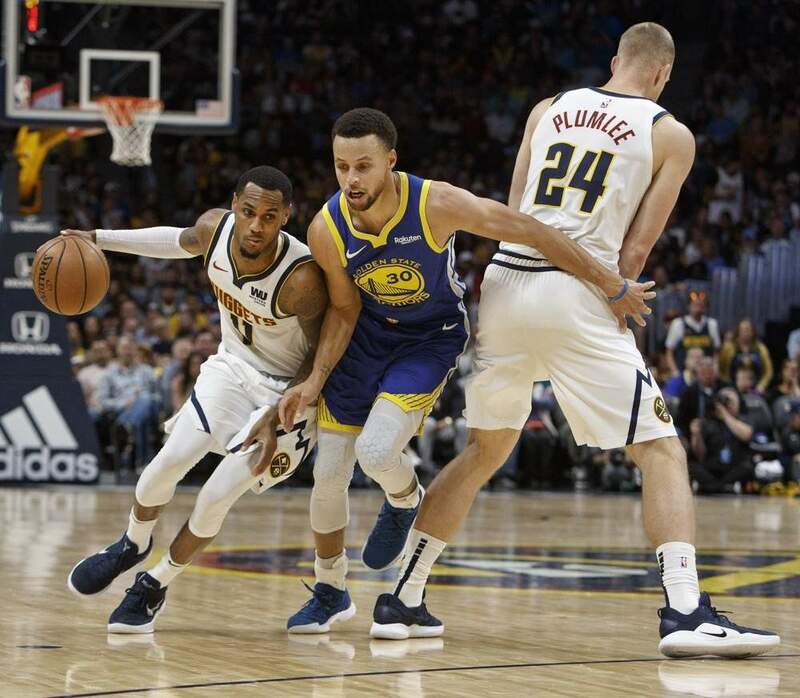 Monte Morris (44%) – Add: Morris has been excellent over the past few games, cashing in on the prolonged absences of both Jamal Murray and Gary Harris. Murray is questionable for Monday’s game while Harris has already been ruled out. That being said, Morris is still a player to add across most competitive leagues until he cools off, even if Murray does indeed return to action. Malik Beasley (40%) – Add: Beasley has been on fire lately, having scored at least 22 points in three straight games. Gary Harris has already been ruled out for Monday which should see Beasley with the opportunity to have another solid game. Trey Lyles (27%) – Drop: Lyles finished with 19 points and six rebounds in his last game, but still only managed 20 minutes of playing time. Lyles can be a sneaky source of points but only on rare occasions. Reggie Bullock (37%) – Stream: Bullock got things going in his last game, dropping 19 points including five triples. Bullock has been mentioned in trade rumors but a change would likely result in very little change to his overall value. Jeremy Lin (45%) – Drop: Lin has played under 15 minutes in each of his last two games, resulting in a dip in his production. Unless he can work his way back up to over 20 minutes per night, he is better left for deeper formats. DeAndre Bembry (40%) – Drop: After a nice run only a few weeks ago, Bembry’s time as a standard league relevant player appears to have come to an end. If you are still holding onto him, you should start to look elsewhere. Jordan McRae (3%) – Watch: McRae has put together a string of decent performances, however, his playing time has fluctuated substantially. Limited production has been there but until he can find a regular rotation spot, he is simply a player to keep an eye on. George Hill (30%) – Drop: Hill has scored in double-digits in back-to-back games, however, his most recent performance came with Eric Bledsoe on the sidelines. Bledsoe could be back Monday which would stamp out any value Hill had been building. D.J. Wilson (11%) – Drop: Wilson appears to have carved out a solid enough role for himself but is still not quite there as a standard league asset. As long as the Bucks are healthy, Wilson is going to find it tough to increase his workload from here, thus restricting him to deeper formats. DeMarre Carroll (48%) – Stream: Carroll finished with just eight points Saturday, going 3-of-8 from the field. Prior to this, he had been solid enough in the points department and if you need a boost in that category, he is at least worth considering. Shabazz Napier (44%) – Add: Napier’s struggles from the field continue, although he has been compensating with his supporting numbers. He is locked into a bigger role as long as Spencer Dinwiddie is out and should be rostered everywhere despite his inefficiencies. Ed Davis (32%) – Stream: Davis is averaging 12.2 rebounds over his past five games, an elite amount when compared to basically any player in the league. Cory Joseph (29%) – Watch: Joseph provides assists and steals, however, he doesn’t hit three-pointers and has shot under 38 percent in six straight games. If you are desperate for steals, he could be considered but chances are you could do better. Aaron Holiday (20%) – Watch: Holiday has failed to increase his production despite the enlarged role, leaving him as a deep league asset only. Savvy owners who have a spare roster spot could take a flier on Holiday with whispers of a trade coming prior to the deadline Thursday. Darius Miller (19%) – Stream: Miller continues to benefit from the absence of a number of regular starters. As long as the injured players remain sidelines, Miller should be able to put up a steady stream of three-pointers. Kenrich Williams (18%) – Stream: Williams has now played at least 30 minutes in three consecutive games, averaging 13.6 points, 10.6 rebounds, 1.0 blocks, and 2.3 three-pointers. It remains unclear how long this production will stick but with Nikola Mirotic, Julius Randle, and Anthony Davis already ruled out, he is worth scooping up for Monday. Frank Jackson (14%) – Watch: Much like Darius Miller, Jackson is making the most of his opportunities. He is coming off the back of a career-high 25 points Saturday and has scored in double-digits in four of his past five games. He is yet to produces much outside of scoring which does limit his overall value. Cheick Diallo (9%) – Drop: Diallo ended with 13 points and eight rebounds Saturday, his best output in quite sometime. Kenrich Williams has surpassed Diallo in the rotation which makes him difficult to roster with any certainty. Tim Frazier (9%) – Stream: Frazier is a very low-end streamer if you need assists and nothing else. He has more assists than points across his last three games, thus demonstrating his reasonably low ceiling. Austin Rivers (24%) – Drop: Rivers scored 16 points Saturday but keep in mind Chris Paul was out due to rest and should return for Monday’s game. Gerald Green (16%) – Drop: Much like Austin Rivers, Green took advantage of Chris Paul being on the sidelines, finishing the game with 25 points including seven triples. Prior to Saturday, Green had not scored more than seven points in five straight games and he can be left alone in competitive leagues. Richaun Holmes (40%) – Add: DeAndre Ayton made his return to the lineup Saturday, sending Holmes back to a 20-minute role. Holmes was disappointing during his time on the floor but should be given at least one more game to see if he can get things going again. Elie Okobo (24%) – Watch: Okobo handed out a career-high 11 assists Saturday, falling just one point short of a double-double. The 11 dimes were more than he had recorded in his past five games combined, and so owners need to be wary before making any hasty moves. Bryn Forbes (41%) – Stream: Forbes basically puts up the same stat line on a nightly basis and despite a limited ceiling, could be used in a three-point streaming role, much like many of his teammates. Marco Belinelli (32%) – Stream: Belinelli hot another three triples Saturday and remains one of the more consistent perimeter threats available. Davis Bertans (28%) – Stream: Bertans has scored a total of just eight points across his last two games, but could get hot again at any time. Prior to his slump, he had hit 10 triples across the previous two games, and so he could be given another chance moving forward. The Spurs are loaded with perimeter scoring within their bench unit and nabbing any one of them could prove beneficial. Harry Giles (30%) – Drop: Giles is a player to keep an eye on heading towards the back-end of the season given his potential. AS of right now, however, the playing time is simply not regular enough for real value.